TURN OFF YOUR BLOODY CAR! Now that the really hot days have hit again, I am subjected to the sight of dozens of cars left on, spewing their filth into the air so that their owners can be spared a few minutes of discomfort. In the summer, they leave the air conditioning on and in the winter it's the heat. The car is left running for 3, 5, 10 minutes while the owner runs into some store or just sits waiting for someone, Godot, perhaps. Or there is a line of cars waiting for several minutes at a light or behind a line of cars, idling and filling the air with more pollution. The addition of particulates to the atmosphere is huge. 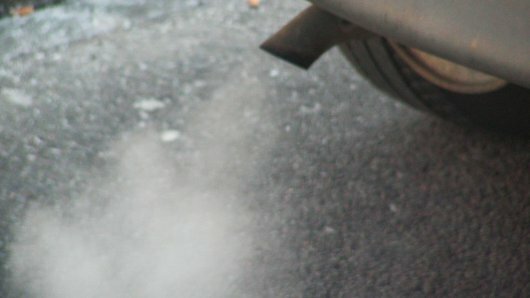 In New York City, the amount of carbon dioxide ALONE estimated to come from idling cars and trucks over the course of a year exceeds 130,000 tons. That is 260,000,000 pounds, people. Several years ago my daughter did a school project which involved idling research. At the end of the project, she and her partners printed up a number of bumper stickers admonishing people to TURN OFF THEIR CARS! Having one stuck on my bumper, I felt obligated to start living the message. It was difficult at first, because it required thinking about driving while driving, an activity that few drivers seem to engage in. After a few weeks, I found it quite natural to turn off my engine at red lights or long lines of cars, and I became fairly good at judging whether shutting down was a good idea. Remember, if you are stopped for more than TEN seconds, you use less gas in restarting than in idling. In other words, ten seconds of idling is approximately a restart. Turning off your car means less pollution and lower cost over time. According to the AAA, a good estimate for idling gas usage a quarter of a gallon per 15 minutes of idle time. This may not seem like much, but over time, idling may cost you several dollars a week or hundreds of dollars per year. Many of the government publications that I have read recommend AGAINST turning off your car in traffic or at a stoplight. While they say this might be dangerous, they all say it could annoy other drivers. This will not happen if you stay awake while waiting. If you decide, as I do, to turn off your car at stop lights, you must stay aware of the situation, so that you can start up again when needed. No putting on lipstick or texting. If you go to a drive-through, turn off your car while waiting or while you are at the window. Sp far, in several years of the practice, I haven't even been honked at once. There are approximately 190,625,023 licensed drivers in the United States. The average US driver spends about eight hours idling per month. Even halving the AAA gas usage rule of thumb, therefore, could mean a savings of 9,159,001,104 gallons of gasoline per year. That is over NINE BILLION GALLONS. C'mon, people!! It shouldn't be that hard to figure out! SAVE GAS AND HELP SAVE THE EARTH AND TURN OFF YOUR CAR.